Combined Buddhabrot from 20.000 (purple), 100.000 (blue) and 1.000.000 (white) iterations. English : Combined Buddhabrot from 20.000 (purple), 100.000 (blue) and 1.000.000 (white) iterations. Emerald Swallowtail butterfly (Papilio palinurus), photographed at Jardins des papillons, Hunawihr, Haut-Rhin, France. English : Emerald Swallowtail butterfly (Papilio palinurus), photographed at Jardins des papillons, Hunawihr, Haut-Rhin, France. Petronas Twin Towers in Kuala Lumpur, Malaysia. The night view conveys a symmetry impression. English : Petronas Twin Towers in Kuala Lumpur, Malaysia. The night view conveys a symmetry impression. Fishermen from Lorenzkirch on the Elbe in front of Strehla, Saxony, Germany. Coloured steel engraving by Julius Umbach, based on a drawing by Ludwig Rohbock. English : Fishermen from Lorenzkirch on the Elbe in front of Strehla, Saxony, Germany. Coloured steel engraving by Julius Umbach, based on a drawing by Ludwig Rohbock. The "indigo Lactarius", species Lactarius indigo (Schwein.) Fr. Specimen photographed in Strouds Run State Park, Athens, Ohio, USA. English : The "indigo Lactarius", species Lactarius indigo (Schwein.) Fr. Specimen photographed in Strouds Run State Park, Athens, Ohio, USA. Temple of Warriors in Chichén Itzá, Mexico. English : Temple of Warriors in Chichén Itzá, Mexico. The 9th August 2010 is Marvin Minsky's 83rd birthday. He is the inventor of the confocal technology and especially the confocal white light microscopy. When he made his invention in 1957 he probably could not imagine that it once would be a common technology for the measurement of 3-dimensional surface properties in material science. The picture shows the 3d representation of one of the stars embossed on one side of a 1-euro coin. The size of the measured area is 800 µm by 800 µm (0.8 mm by 0.8 mm), the vertical range is approximately 60 µm (0.06 mm). The colours of the surface show the height according to the scale on the right side of the image. English : The 9th August 2010 is Marvin Minsky's 83rd birthday. He is the inventor of the confocal technology and especially the confocal white light microscopy. When he made his invention in 1957 he probably could not imagine that it once would be a common technology for the measurement of 3-dimensional surface properties in material science. The picture shows the 3d representation of one of the stars embossed on one side of a 1-euro coin. The size of the measured area is 800 µm by 800 µm (0.8 mm by 0.8 mm), the vertical range is approximately 60 µm (0.06 mm). The colours of the surface show the height according to the scale on the right side of the image. Eilean Donan Castle is a rebuilt castle at Dornie in the Scottish Highlands. It is located on Eilean Donan, an island near the point where the sea lochs Loch Duich, Loch Alsh and Loch Long meet. This view from north was made at high tide. English : Eilean Donan Castle is a rebuilt castle at Dornie in the Scottish Highlands. It is located on Eilean Donan, an island near the point where the sea lochs Loch Duich, Loch Alsh and Loch Long meet. This view from north was made at high tide. Karl Bodmer: Indians hunting the bison. Tableau 31. In: Maximilian zu Wied-Neuwied: Maximilian Prince of Wied's Travels in the Interior of North America, during the years 1832–1834; published London 1843–1844. English : Karl Bodmer: Indians hunting the bison. Tableau 31. In: Maximilian zu Wied-Neuwied: Maximilian Prince of Wied's Travels in the Interior of North America, during the years 1832–1834; published London 1843–1844. Town of Ortahisar in Cappadocia, a region in central Turkey. English : Town of Ortahisar in Cappadocia, a region in central Turkey. A part of the horse market in Lorenzkirch, Zeithain, Saxony, Germany. View from the church steeple in Lorenzkirch to the horse market, to the river Elbe and to the town Strehla (c. 1891–1903). English : A part of the horse market in Lorenzkirch, Zeithain, Saxony, Germany. View from the church steeple in Lorenzkirch to the horse market, to the river Elbe and to the town Strehla (c. 1891–1903). Animation of a universal joint. English : Animation of a universal joint. Middelgrunden offshore wind farm (40 MW) in the Øresund, 3.5 km outside Copenhagen, Denmark. English : Middelgrunden offshore wind farm (40 MW) in the Øresund, 3.5 km outside Copenhagen, Denmark. A Puffer Fish, Arothron hispidus in Hawaii. English : A Puffer Fish, Arothron hispidus in Hawaii. The city of Beirut, Lebanon, in the last third of the 19th century. Image by Maison Bonfils. English : The city of Beirut, Lebanon, in the last third of the 19th century. Image by Maison Bonfils. The Ripon Building, the headquarters of Chennai Corporation in Chennai, Tamil Nadu, India. English : The Ripon Building, the headquarters of Chennai Corporation in Chennai, Tamil Nadu, India. The spiral galaxy Messier 81 is tilted at an oblique angle on to our line of sight, giving a “birds-eye view” of the spiral structure. Image from the Hubble Telescope. 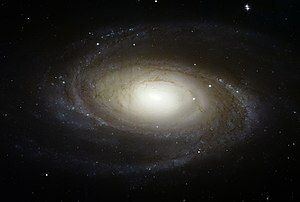 English : The spiral galaxy Messier 81 is tilted at an oblique angle on to our line of sight, giving a “birds-eye view” of the spiral structure. Image from the Hubble Telescope. Panoramic view of the Great Court of Baalbek temple complex, World Heritage Site in Lebanon. English : Panoramic view of the Great Court of Baalbek temple complex, World Heritage Site in Lebanon. Elakala Waterfalls in the Blackwater Falls State park, West Virginia, United States. English : Elakala Waterfalls in the Blackwater Falls State park, West Virginia, United States. Yamaha YZF-R1 of Team Etching Factory at the qualifying session of the Suzuka 300 km endurance race (2010). English : Yamaha YZF-R1 of Team Etching Factory at the qualifying session of the Suzuka 300 km endurance race (2010). Red-eyed Tree Frog (Agalychnis callidryas), photographed near Playa Jaco in Costa Rica. English : Red-eyed Tree Frog (Agalychnis callidryas), photographed near Playa Jaco in Costa Rica. High purity (99.995 % = 4N5) niobium crystals, electrolytic made, as well as a high pure (99,95 % = 3N5) 1 cm3 anodized niobium cube for comparison. English : High purity (99.995 % = 4N5) niobium crystals, electrolytic made, as well as a high pure (99,95 % = 3N5) 1 cm3 anodized niobium cube for comparison.